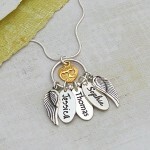 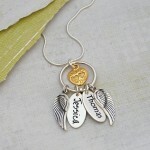 A personalised silver name charm cluster necklace with angel wings and heart charms hanging from a sleek snake chain. 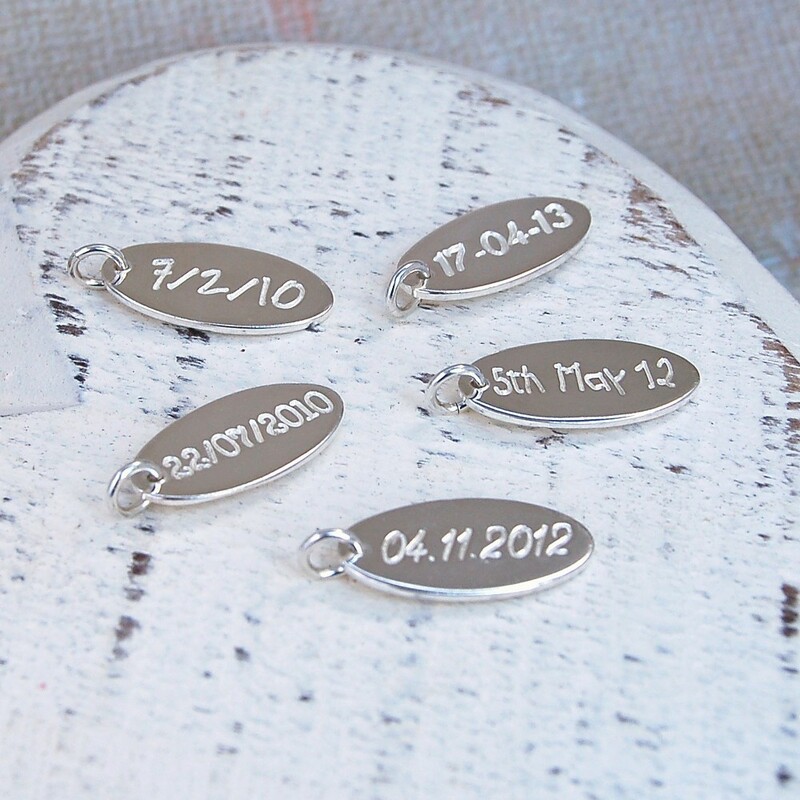 IndiviJewels offers you another wonderful treasured keepsake with this personalised silver cluster necklace. This piece was created after numerous enquiries for our single name charm necklace with angel wings to have two name charms. 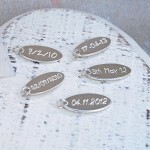 Two or three sterling silver charms can be personalised with the names of those close and dear to you or words of inspiration and the backs can also be etched with special dates if required. 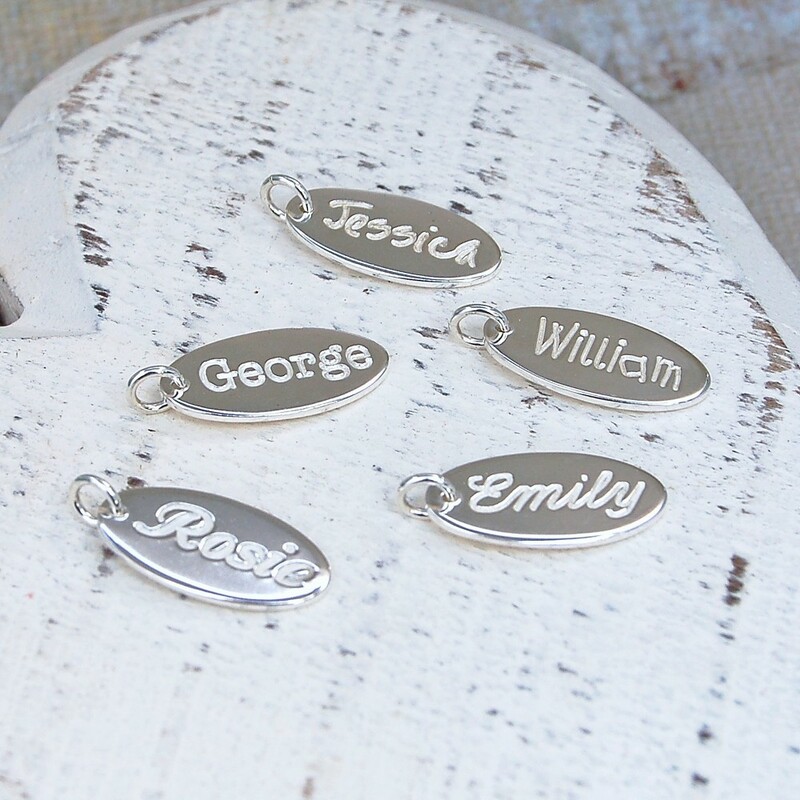 This necklace would make a beautiful gift for a mother or grandmother with their childrens/grandchildren’s names or for a newlywed with the names of the bride and groom. 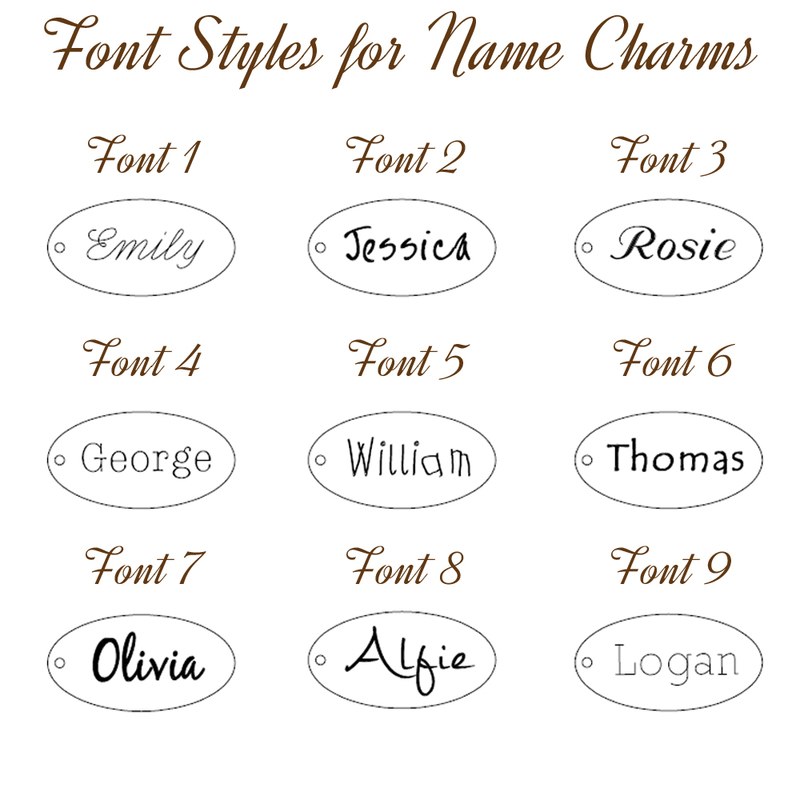 We have various fonts that can be used for the names and the main images show the fonts blackened to provide a striking contrast against the silver but they can also be left silvery/white as shown in the image showing the different font styles available. 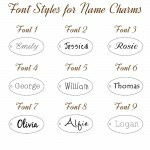 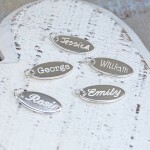 You can have both name charms etched using the same font or with different fonts as shown on the example. 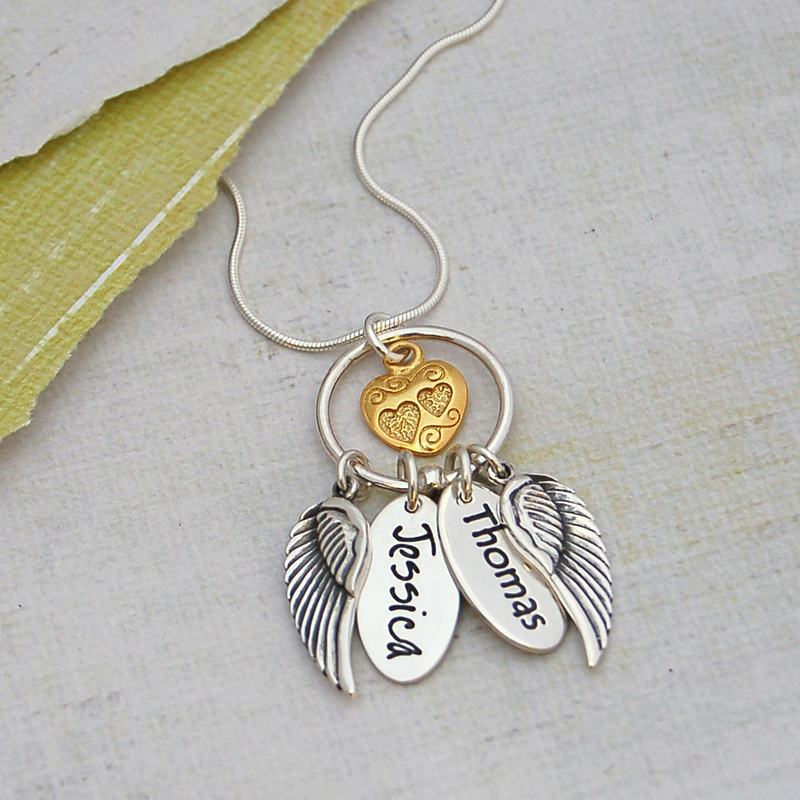 There is also the choice to have the heart charm in sterling silver or a contrasting gold vermeil and a choice of chain lengths. 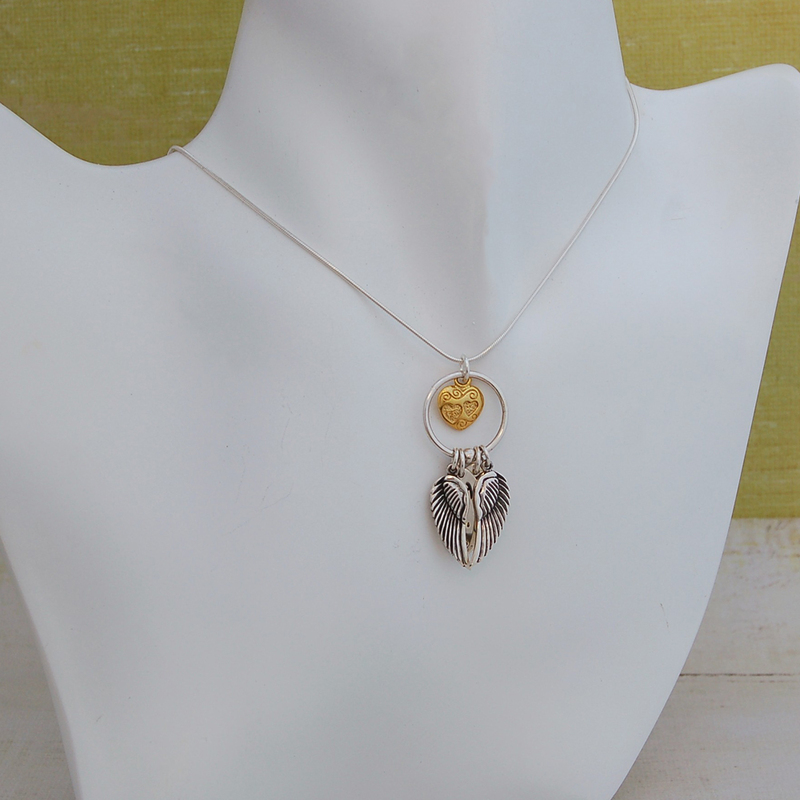 All components of this necklace are made from sterling silver with the exception of the heart charm which is Gold Vermeil (24 ct gold on sterling silver and please note that the gold will fade over a period of wear).